My first visit after beginning work as Agricultural Counsellor at the Netherlands Embassy in Ukraine in the summer of 2016 was to a potato day. It was to prove the first of many more such potato-related trips. My travels took me everywhere from practical workshops in the field, to growers and their storage facilities around Ukraine, and then on to the Dutch-Ukrainian Potato Forum in Kyiv. Some readers might assume that these visits are one of the less interesting parts of my job, but they would be very much mistaken! The simple potato is a hot crop. It plays an important role in providing food security for the entire planet. By 2050, the world population will reach nine billion. In order to feed these people, we need more production but also more efficiency. Agriculture needs to be sustainable, with less use of resources such as water and fertilizers on agricultural land that is itself also changing. As crops, potatoes are role models because they use relatively little water. In the Netherlands, varieties are under development that can also grow in saline soils. More and more land is becoming saline due to climate change. On Texel, one of the smaller islands of the Netherlands, varieties of different vegetables are undergoing testing for saline resistant qualities. This is potentially an important development for the south of Ukraine, which is getting more dry and salty due to climate change. The progress in saline resistance symbolises the great potential for bilateral cooperation in agriculture between the Netherlands and Ukraine and demonstrates how we can both benefit. Although the Netherlands is the second largest exporter of agricultural products in the world, the Netherlands cannot feed the world by itself. The Netherlands is a very small country. With a large population living in a small, low-lying delta region where land is at a premium, farms in the Netherlands are some of the most innovative, sustainable, and efficient in the world. This experience is transferrable and can be hugely effective in a Ukrainian context. The focus of agricultural exports from the Netherlands is more and more on the export of technologies, knowledge, innovations and planting material to support sustainable development of agriculture elsewhere. Ukraine has endless opportunities and fertile soils, while the Netherlands has a lot to offer when it comes to sustainable innovations and knowledge. Cooperation in the agricultural sector is important and it is here that I believe we can benefit on both sides. Why are potatoes such a good example of this cooperation? Dutch seed potato companies have the largest share on the Ukrainian market. The Netherlands Embassy, together with the Ukrainian potato growers association, recently conducted a study of the potential for processing potatoes in Ukraine. Together we support developments in the sector here in Ukraine. Many other examples are available in the horticulture and floriculture sectors. In fact, there is a good chance that the vegetables on your plate or in your soup have Dutch roots and grow in Ukraine using Dutch technologies. Vegetable seed companies active in Ukraine are mainly from the Netherlands. 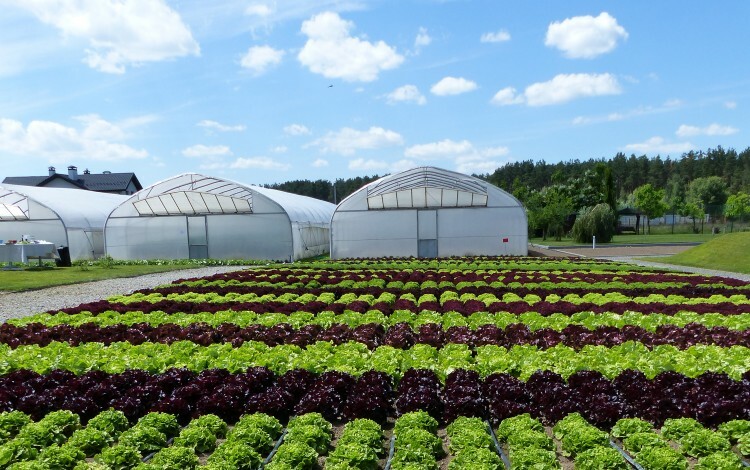 They supply growers with the planting material for the traditional vegetables used in Borsch and for standard salad ingredients like lettuce, peppers, tomatoes and asparagus. April sees the most beautiful and bright exhibition of the year taking place in Kyiv: the annual Flower Expo Ukraine. Last year, the “Jamala Tulip” was baptised at the Expo. A Dutch company chose to name this bright yellow and red tulip in honor of Ukrainian singer Jamala in recognition of her victory in the 2016 Eurovision Song Contest. Every year about half of the exhibition’s participants are Dutch. This reflects the fact that the main supply for the floricultural sector in Ukraine is coming from the Netherlands. As an embassy, we are a proud partner in the Flower Expo Ukraine and other agricultural exhibitions in Ukraine. Of course, even while we speak about synergies in the agricultural sector it is also important to remember that there are many differences between the Netherlands and Ukraine. Nevertheless, differences in things like the scale of farming in the two countries cannot obscure the prominent role agriculture plays in the economies and everyday lives of people in Ukraine and the Netherlands alike. I am lucky enough to get to see in practice what Dutch-Ukrainian cooperation, innovations and high quality technologies can bring. From soil analyses with handheld scanners, precision farming with GPS, and efficient farm management in the dairy sector with cow signal training, to organic production with support of bumble bees and further development of the potato sector by looking at the opportunity of processing. We work together on the business and governmental levels, and with our international partners such as the EU delegation, FAO and Agritrade. In Ukraine, the focus of the Dutch Ministry of Agriculture, Nature and Food Quality is in the horticulture and floriculture sectors, potatoes, dairy, food processing and biomass. 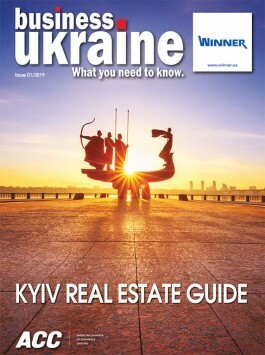 If you want to know more about Dutch-Ukrainian cooperation in the agricultural sector and specific projects, you can find the latest news from the agricultural team of the embassy online.